Eight houses in four years I counted yesterday. That's how often we moved house before we finally found our little farmhouse in the Huon Valley. That's a lot of boxes to pack when you're pregnant or carrying a little one on your hip. Or both. Whilst moving every six months can be a real chore, it does mean you are constantly editing your belongings. And after almost five years in our little house, the lack of editing was made glaringly obvious this week when the contents of the pantry were stacked all over the kitchen. 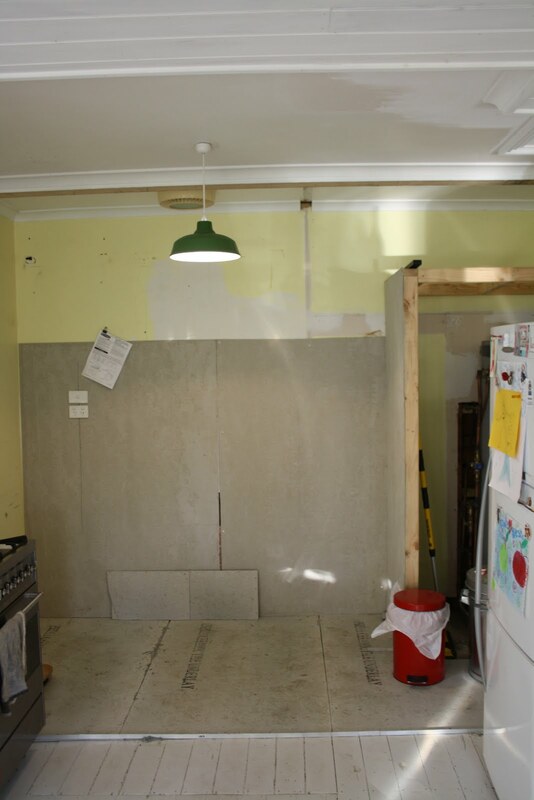 The floor to ceiling built-in cupboards were ripped out and they housed not only our bulky pantry items but the high shelves had become a bit of dumping ground for the stuff we no longer use. Conveniently hidden out of sight and out of mind. Now that those cupboards are gone, we've limited storage space, so yep, it is time to say goodbye to those sipper cups and edit everything down to the bare essentials. Sadly, this also means the end of my op shopping for china and linen habit. There's just no room. I had to take it all back, some with the op shop price tags still attached. With four big boxes safely delivered back to the oppie, we now have a little more breathing space. It feels quite liberating really. The dodgey floor has been fixed up ready for tiling, the old hot water tank will go and a new one installed in the roof. 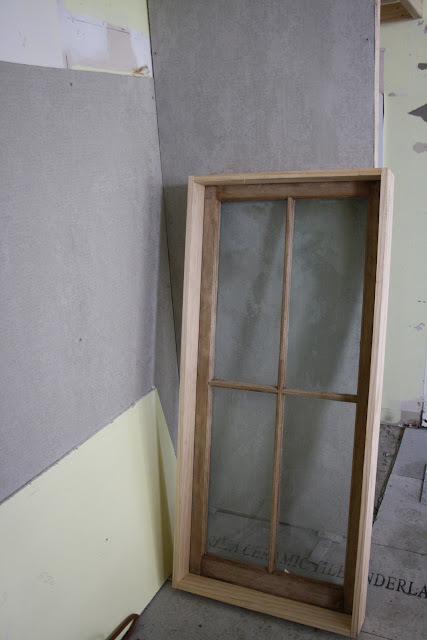 The new reclaimed window (above) will be installed once the rain clears later in the week. Then we can enjoy a new clutter free and light kitchen. It will be like a new house, with the bonus of not having to actually to move yet again. That is a lot of moving, and I have empathy. As I type I am surrounded by boxes - this is our third move in 2.5 years. And like you, I think I have finally found a house that ticks all the boxes for our family, and one that should happily house us for the next five years. Thus is the life of living in a country town...but we love it! Wow, what a huge amount of moving! I despise packing, but love unpacking - it's something about the potential of new spaces. I'm just about to start a hunt for op shop china, as my many boys have smashed most of my dinner set, maybe I should stalk your local!